100 Words, 100 Days: Day 85. On Caffeine. | What I think About When I Think About Writing. 100 Words, 100 Days: Day 85. On Caffeine. a) You’ve gone to the bother of making the nicest cup of coffee you can, given your circumstances, and you don’t even remember drinking it. b) Being jittery is your default setting. c) You can tell your Java from your Colombian. d) You drain a pot of coffee quicker than a toilet can flush. e) Your concern for your kidneys is at odds with your serenity. f) Your response to a customer query is WHAT NOW? CAN’T YOU SEE I’M STRESSED OUT? g) Going cold turkey fills you with a sense of dread. This entry was posted in 100 Days, 100 Words, Humour, Life, The Job and tagged Beverages, caffeine, Coffee, Coffee and Tea, Drink, Food, Home, Shopping. Bookmark the permalink. Caffeine is a basic food group. It’s in the official Food Pyramid. Right under alcohol and nicotine and above sugar and window food. You describe my daily routine to a tee, I’ve even bought myself a grinder to make my own fresh pot everyday. 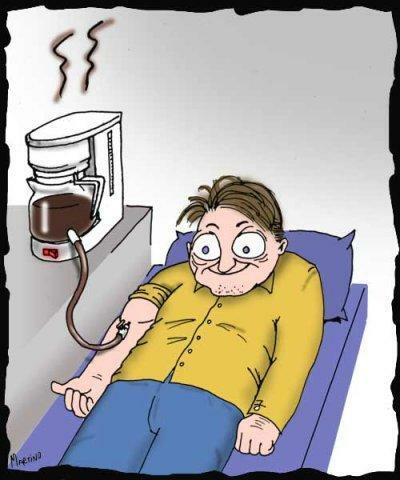 Caffeine can really be helpful if you want to stay awake and work for very long periods of time. ..